2018 was a great year! Cam and I spent so much of the year with people totally in love and the joy was contagious. These probably aren’t truly our best wedding photos from the last year, but they definitely made me smile going back through the memories! This year we saw a bride ride a horse for the first time ever in her wedding dress, photographed through smoky skies, and laughed at far more hilarious kids than any past year. Like, so many kids let loose this year that there must have been some memo passed around at the beginning of the wedding season. I hope you enjoy looking through our best wedding photos of 2018 as much as I liked choosing them! 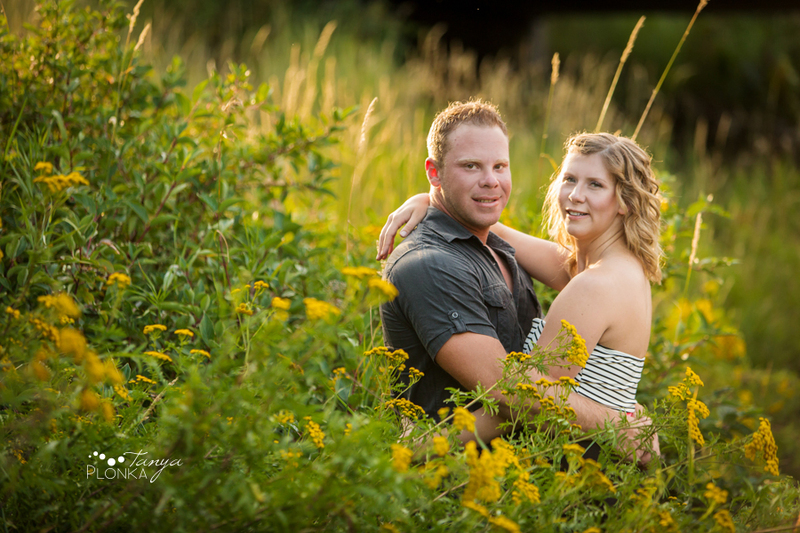 Lindsay and Terry love spending time outdoors, especially if it means visiting the Crowsnest Pass. 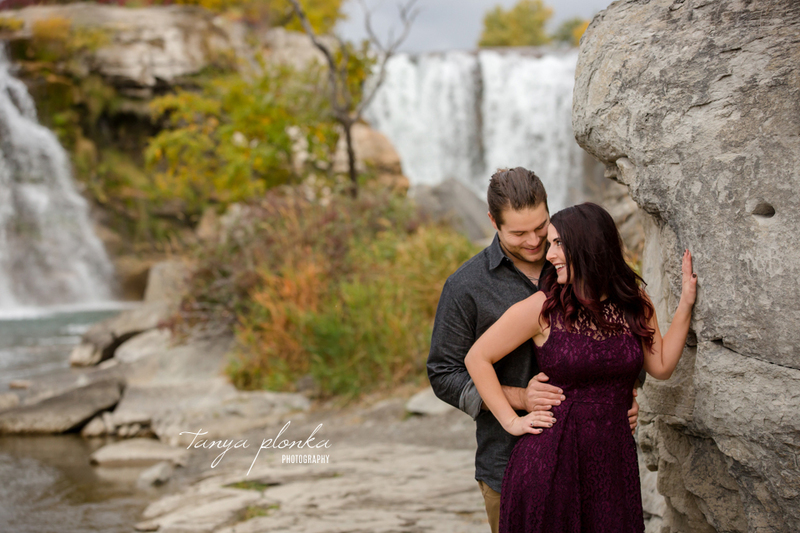 Since their wedding is taking place in Lethbridge, they wanted to include this favorite destination of theirs in their engagement session instead. It’s always so tough to narrow down the scenic locations there! They decided on Lundbreck Falls autumn engagement photos, which was a perfect time of year as nearly all the tourists were gone. We got so lucky with the weather too! Despite a heavy snowfall warning, down below the mountains the fall landscape held on in gorgeous red and yellow tones. Only the mountain tops were dusted with a coating of snow to show the seasons colliding. 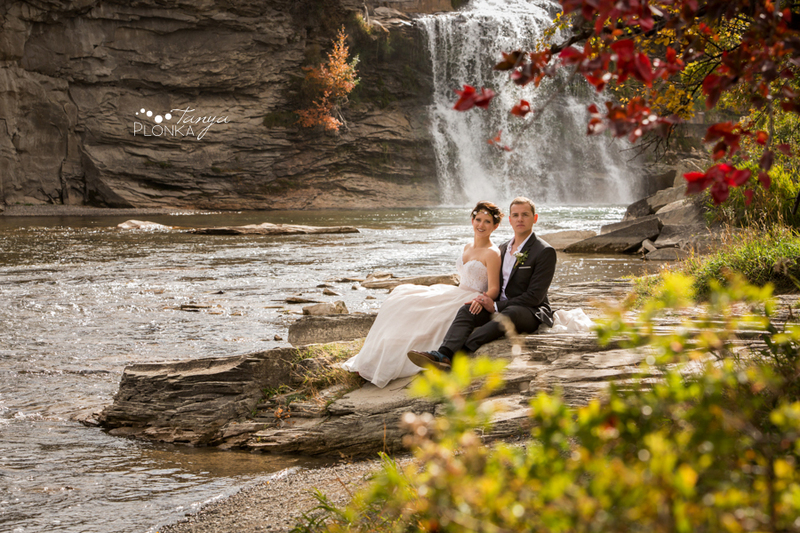 Terry and Lindsay did an amazing job pretending it was warmer than it was (behind the scenes I was in a poofy parka!) and we were pleased to discover how much warmer it was at the base of the falls! Amanda and Jesse decided to do Lundbreck Falls summer engagement photos to make use of the beautiful weather we had this summer. It also gave us an excuse to go on a bit of an adventure for photos as their wedding will be taking place in the city. They are so comfortable in each other’s arms and exude happiness together. They are such a perfect couple! 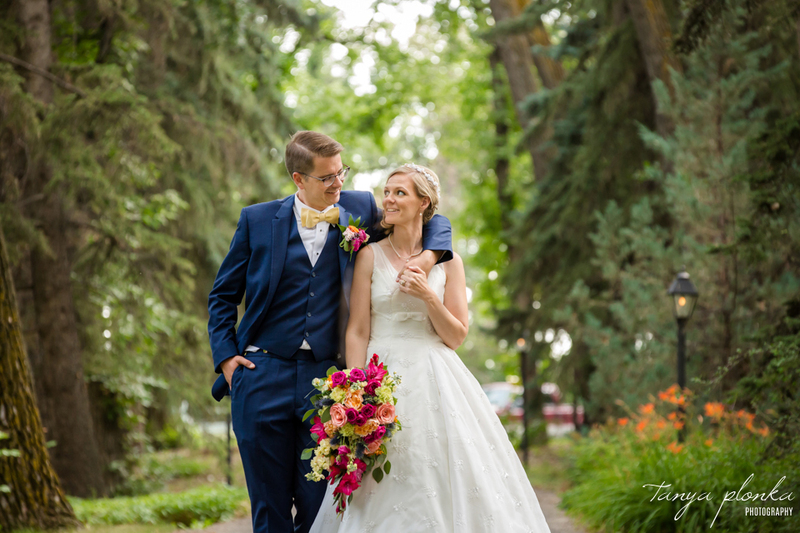 Shaun and Jill had a rough start to their year but their wedding more than made up for that with how flawlessly it went, thanks in huge part to the many hours both of their mothers spent planning and organizing! 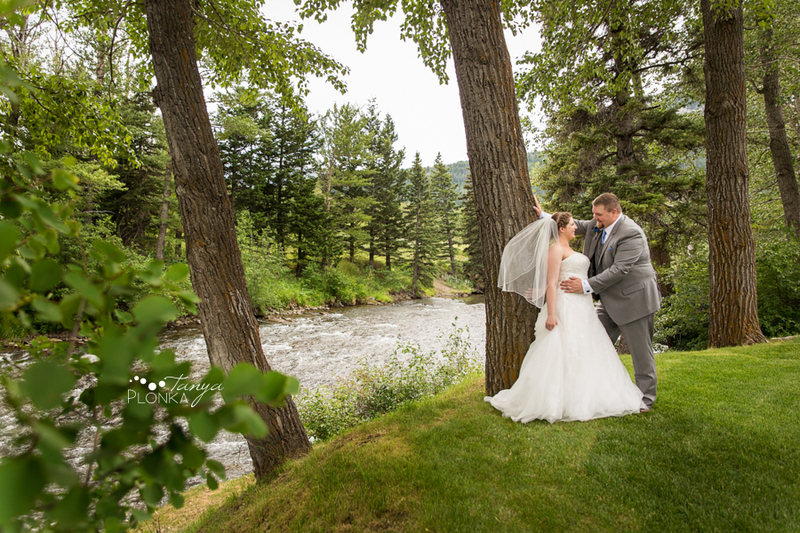 They held a Crowsnest Pass private estate outdoor wedding ceremony under Turtle Mountain in Jill’s parents’ yard. I refer to their ceremony venue as a “private estate” not because it technically is one, but because the term “backyard” doesn’t do it justice! This amazing property is beautifully landscaped and runs along the Crowsnest River. Jill’s family put so much work into getting the property set up for the wedding, with huge tents for the guests to sit under, ample parking, and refreshments. I love how they set the guests away from the ceremony so that it still had a very intimate feel. Jill and Shaun are both very down to earth, happy people, making it such a pleasure to be around them for the day. Their commitment is so strong after already being together for a number of years and they are so comfortable with each other. One very special part of the day was that they hired a bagpiper to celebrate Jill’s Scottish heritage and they got him to come along for extra photos, giving us a custom soundtrack for the day! After portraits, we headed to the MDM Community Centre (the old elementary school of both me and Jill!) for their reception.